India's Enforcement Directorate (ED) is investigating bilateral air services agreements signed with West Asian countries between 2001 and 2012 as well as aircraft purchases by the state owned Air India during that period, the Economic Times reported, quoting people with knowledge of the matter. Besides examining the “policy decisions” taken by officials, ED has sought documents from the civil aviation ministry as part of its probe into the procedures followed by the Congress-led UPA governments (2004-14). According to the Economic Times report, the investigation, which follows an audit report and inquiries by the Central Bureau of Investigation (CBI), will also look into the impact that the bilateral agreements had on the operations of debt-laden Air India. The carrier is currently seeking yet another government bailout after a privatisation effort came to nought earlier this year, the report noted. “ED has sought details of bilaterals signed with Gulf countries between 2001 and 2012 and documents signed with Dubai, Sharjah and Qatar during the period,” said a senior government official, who did not want to be identified. “ED is also looking into the government’s decision to sign separate bilaterals with Dubai and Abu Dhabi and not one bilateral with the United Arab Emirates.” Abu Dhabi, Dubai and Sharjah are members of the seven-emirate UAE. The Economic Times quoted sources as saying that the documents along with comments of airlines made at the time have been sought to “investigate whether any exceptions” were made to “benefit” some companies. The sources also said that the agencies are also looking into allegations made by a former joint secretary of the civil aviation ministry on the bilaterals and the involvement of non-state entities. 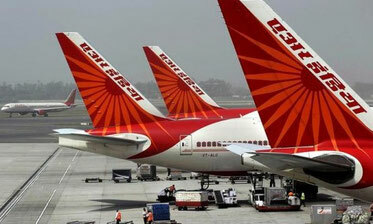 Air India and Indian Airlines signed a deal in 2006 to purchase 111 planes from Boeing and Airbus between 2008 and 2017 for a list price of US$11 billion as part of their expansion plans. The two state-owned carriers merged in 2007. ED’s probe is a result of first information reports (FIRs) registered by CBI, which is enquiring into alleged irregularities concerning the purchase of planes, aircraft leasing, diversion of routes and the establishment of an Airbus maintenance, repair, overhaul and training facility that allegedly involved its executives, the Economic Times report said.